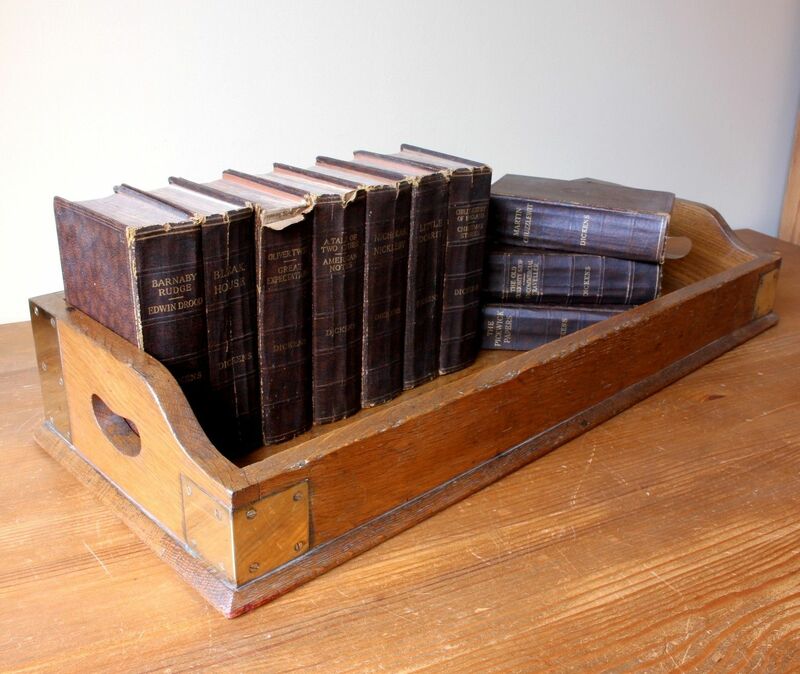 Victorian 19th Century Oak & Brass Library Book Tray. 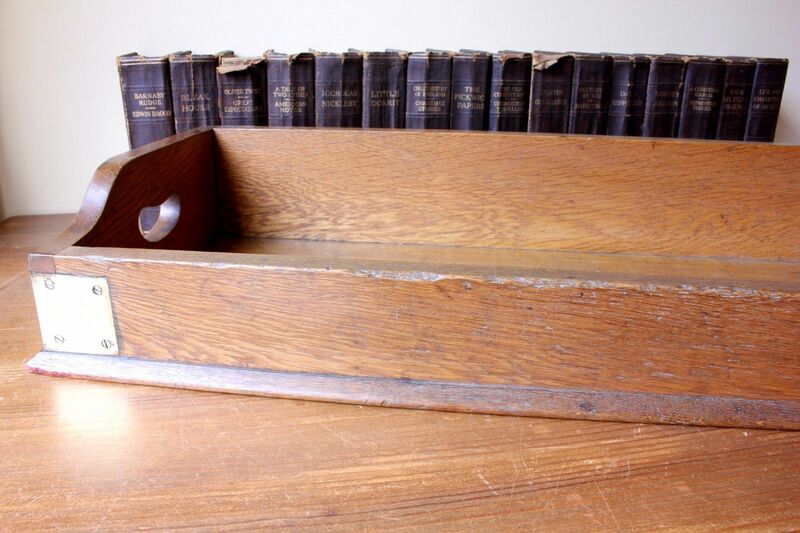 This handsome library book tray which dates from the 19th Century is made of solid oak, has brass corner brackets and gallery sides with cut out handles. 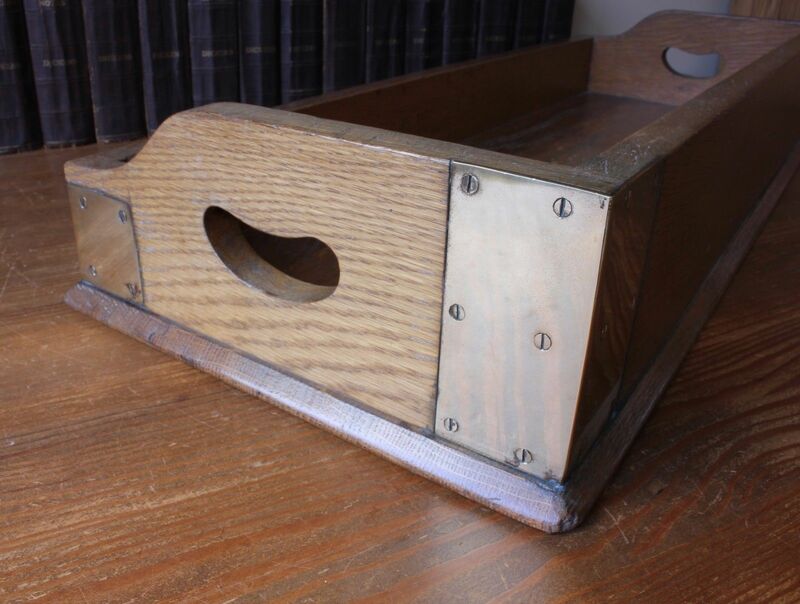 It has developed a wonderful used natural patina, is excellent quality and a nice heavy weight. 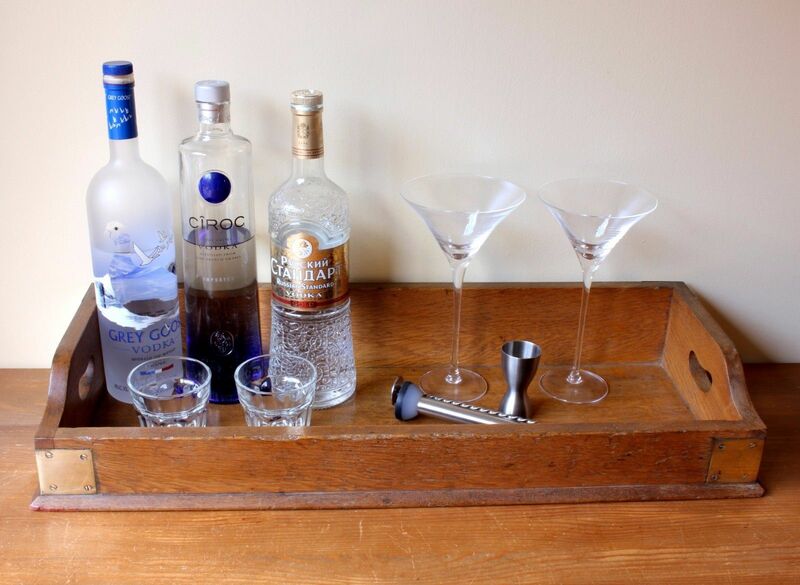 A really useful and usable book tray that would look great displaying your books, cook books, on a desk or could be used as a drinks / cocktail display tray. Length: 70 cm / 27 1/2" approx. 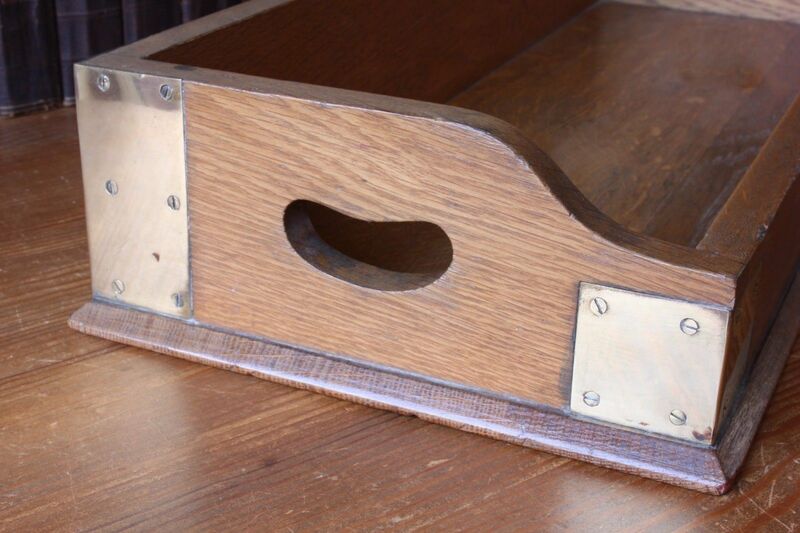 Width: 27 cm / 10 1/2" approx. Height: 11 cm / 4 1/2" approx. 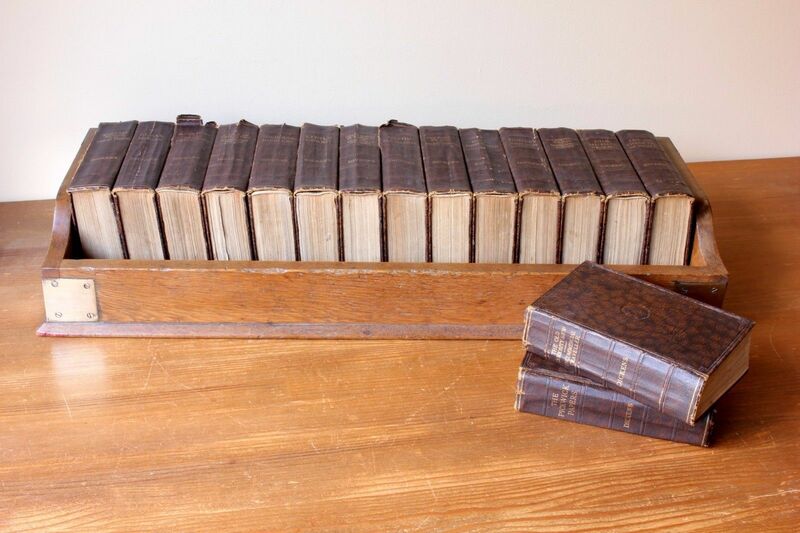 Condition: Very good used antique original condition with a wonderful natural patina and signs of use in keeping with age. Please see pictures.